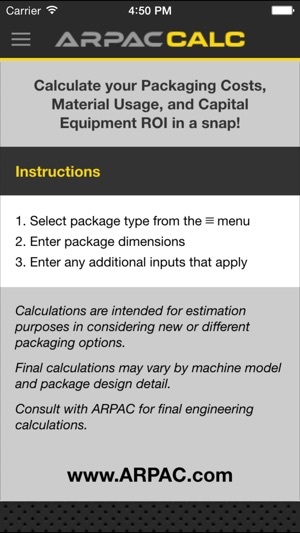 Arpac Calc: Packaging Cost, Material Usage and Capital Equipment ROI Calculator. Arpac Calc is used to calculate the amount of packaging material required to package a product and to compare secondary packaging design solutions. This calculator accomodates different packaging methods (case, tray, bundle, pallet, etc.) and can compare the amount of packaging material used by each type. 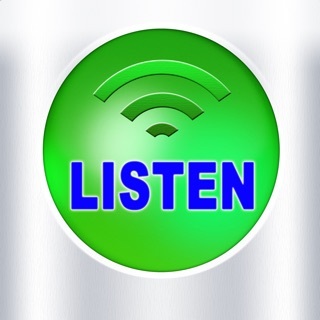 In addition to material usage, cost parameters provide a financial tool to analyze the package design and/or compare multiple package options to find an optimal solution. 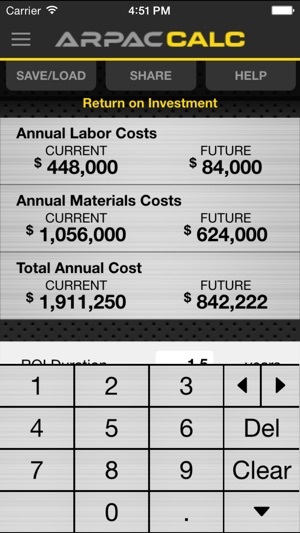 Finally, use these calculations (plus labor costs) to estimate a Capital Equipment Budget based on a desired ROI. Today’s packaging professionals work to develop solutions that minimize material consumption, maintain the shipping integrity of a product, and analyze the financial investment for their company. 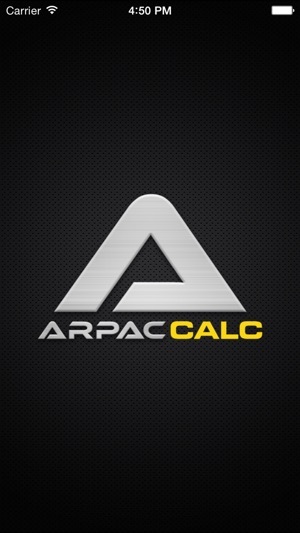 Arpac Calc provides both a useful packaging design tool and a powerful cost calculator to assist in the development of optimal packaging solutions. 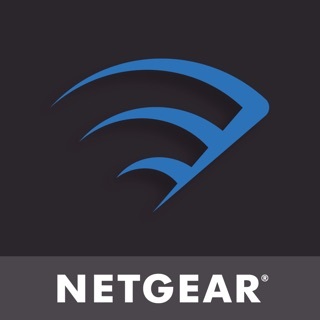 This is a great app for any Packaging Professional. 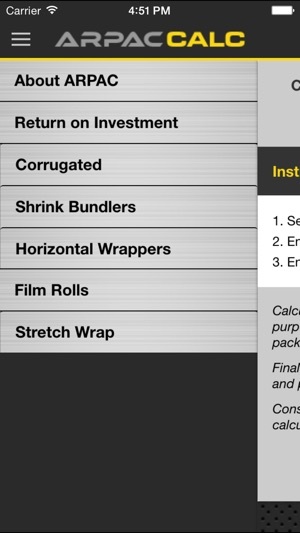 You can calculate secondary packaging material usage and cost per package. Use the app to compare one package style vs. another, select the optimal cost solution, and help determine the ROI on a new packaging line. 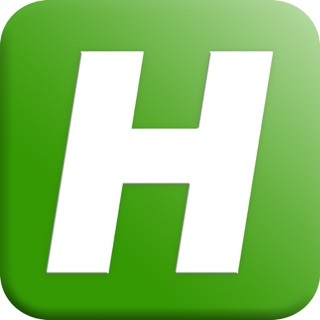 I was lucky enough to work on the math in this app with my fellow ARPAC Engineers, and the design of the app with our outstanding developer. 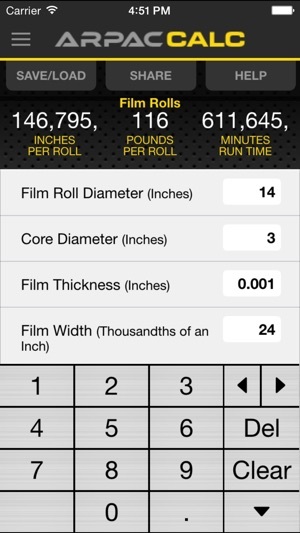 The resultant app is impressive, and I hope will be useful to Packaging Professionals everywhere. ARPAC builds a full line of Automated Packaging Machinery: Shrink Film, Stretch Film, Corrugated, Robotic Palletizers, HMiQ, and Systems Integration. Privately owned. Made in the USA.